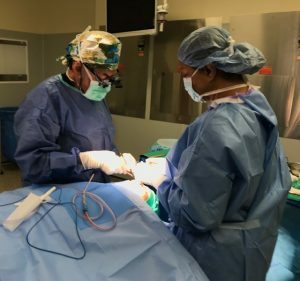 Finding the best plastic surgeon in Orlando, FL. There’s nothing more powerful PERSONALLY than to believe you look your sexiest best. To achieve that anatomic, physical and emotional state requires focus dedication and sometimes the best plastic surgeon. We all want to believe that we are celebrities in our own life. This is definitely achievable provided we are willing to pay the price on a daily basis. When you visit a plastic surgeon he will immediately reach out to you and begin to understand exactly what your priorities are. My particular practice attracts rhinoplasty and revision rhinoplasty patients. It’s difficult for patients to determine who is the best plastic surgeon for the job. Many Plastic Surgeons will not undertake the challenges of Rhinoplasty and revisions. I personally welcome the challenge. The best plastic surgeon for this job cannot always be easily determined by the researching patient. First- the best plastic surgeon specializing in rhinoplasty and revision rhinoplasty will use his web site to share with the world his passion for providing this type of surgery. In my particular website, we have videos testimonials and an extensive gallery of rhinoplasty primary and revision patients. This should be your focus when determining who is the best plastic surgeon for you. FACIAL AND BODY CONTOURING COMBINATIONS. The best plastic surgeons commit their life’s work to deliver the best possible results to their patients. Over the years with experience, they expand their vision for what it means and what it looks like to be the best. Just as artistically demanding as rhinoplasty – – is body contouring after weight loss or multiple pregnancies. When I first walk into the room and introduce myself to a body contouring patient I connect with them immediately. Just as I connect with the rhinoplasty, and the revision rhinoplasty patient I feel an emotional connection to body contouring patients. Men will never understand the personal joy and fulfillment that a woman experiences bearing children. We can, however, appreciate the anatomic changes that childbearing creates for some women. Restoring youthful, perky breasts and re-creating that pre-childbearing body is fulfilling for not only the patient but for me as a board certified plastic surgeon. Learn more about plastic surgeons. Often times I’m called upon to address facial and body contouring challenges at the same time. Not all plastic surgeons will endeavor to accept both the facial and body contouring challenge. I feel particularly confident and skilled in accepting this very challenging task. Facial and body contouring combination surgeries will require at least one night of close observation in the overnight stay facility adjoining the surgical facility that I use for my patient’s procedures. Aesthetic surgery is creative anatomy and performing art to a great degree. Don’t settle for anything less than the best. Choosing to be your best and to look your best is the first step in embracing the belief that you truly are – a celebrity in your own life.